With Harvest Season, 'Trimmigrants' Flock To California's Pot Capital Humboldt County is famous for towering redwoods — and pot. Every fall, young people descend on its small towns. 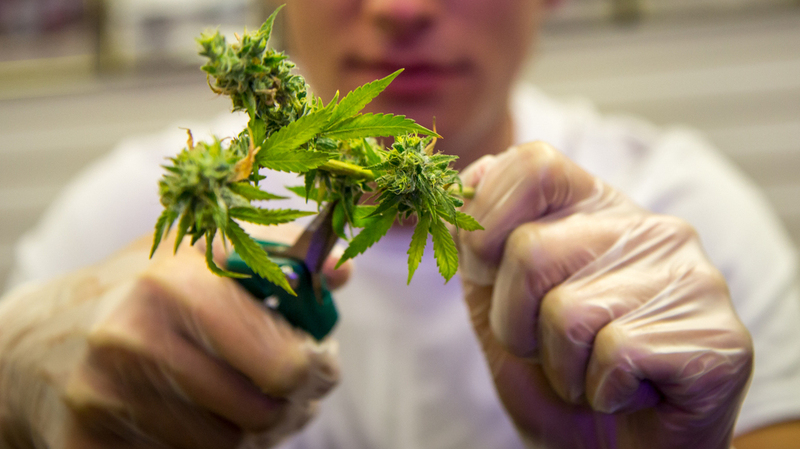 They're seeking work as trimmers, who manicure marijuana buds to prepare them for sale. Trimmers prepare the marijuana flower, or bud, to make it more appealing to consumers. They use scissors to snip off the leaves and stems. Every fall, young people, mostly in their 20s, come from all over the world to work the marijuana harvest. They come seeking jobs as "trimmers" — workers who manicure the buds to get them ready for market. The locals have a name for these young migrant workers: "trimmigrants." There are more than 100,000 marijuana plants growing in the hills around Humboldt, the county sheriff's office estimates. They all need to be harvested around the same time and processed quickly to avoid mold and other problems. So from September through November, it's all hands on deck. That's where trimmigrants, also called scissor drifters, come in. To understand this story, you need to know what trimming is. Marijuana grows like a huge bush, and the flower it produces is the marijuana bud. Trimmers manicure the buds, snipping off the leaves and stems and then shaping them with their scissors. The idea is to make the weed stand out, so it sells well at medical marijuana dispensaries and on the street. Garberville, a tiny town of about 900 residents in Humboldt, swarms with trimmigrants during the season — girls and guys with big, bulky backpacks and pit bulls. Many of them look like modern-day hobos. I meet Fermin, a 24-year-old artist from Tennessee, at the far end of town. Like all the trimmers I spoke with, Fermin would use only his first name. Trimming for an illegal operation could make him an accessory to a drug crime. "I heard you could get work pretty easy," Fermin says. "The reality is it's taking a little bit longer than I expected." 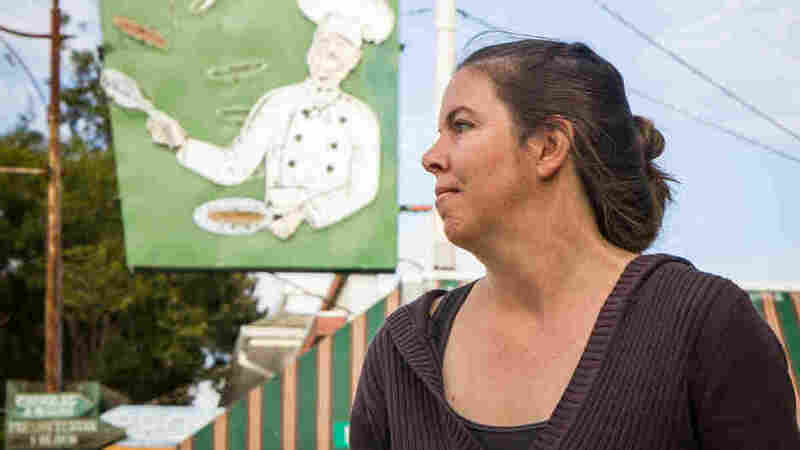 Kristen Nevedal co-founded the Emerald Growers Association, a group of 400 marijuana farmers from across California. The Garberville resident says that "trimmigrants" are straining her small town. Fermin has been here for about a month and hasn't found any work yet. It's getting colder and the rains are coming. He sleeps in the woods just outside town and Dumpster-dives for food. Until he finds a job trimming weed, he gets by on selling his art and playing music on the street. Trimmers are paid by the pound, and fast trimmers can make $300-$500 a day, in cash and under the table — but of course, if the place where you're trimming gets busted, it could also land you in jail. Some trimmigrants, like Fermin, give the impression they're here to work. But the scene is also attracting drifters who hang around looking pretty drugged out. Locals say European youths often get hired over Americans, who are stereotyped as hippie kids. 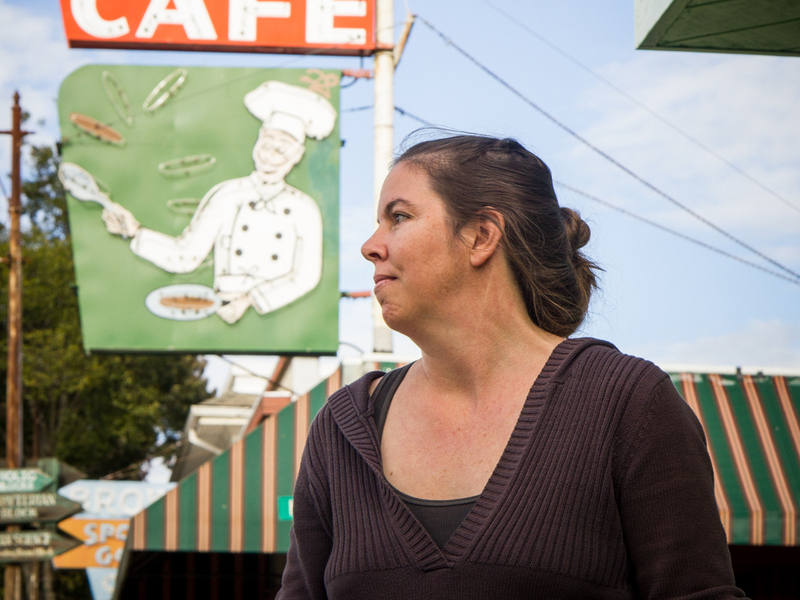 Kristin Nevedal says migrant trimmers are everywhere, obstructing local businesses and damaging the river with their squatter camps. Nevedal is a local resident and co-founder of the Emerald Growers Association, a group of 400 marijuana farmers all over California. "This is not the fun vacation thing to do, right? To like, show up in Garberville in the fall and see if you can get a job," Nevedal says. "We cannot house these people. Like, don't come unless you have a job." According to the county sheriffs, the majority of growers in Humboldt are operating illegally. So hiring strangers from the side of the road, they say, puts the growers at risk. There is risk for trimmers, too. Every year, some go missing, and trimmers have even been killed. They often work in remote areas with no cellphone service or running water, sleeping in tents. Sometimes they don't even know where they are. Tim Blake has been growing marijuana since the '70s. His collective, Healing Harvest Farms, is just south, in Mendocino County. Blake's is a small farm, and it's legal. He grows 25 plants — the county limit for medicinal marijuana — but the plants are huge. "Look at the different colors," Blake says, showing off his plants. "You got the purples, then you got the dark greens, the light greens." Blake's marijuana plants look almost like small trees. They're 10 feet high and he says each one will produce about 8 pounds of weed. "As soon as you squeeze it, you can feel the resin on it," says Blake, handling a plant. "It gets right on your fingers. It's like, all over it." Blake brings me to the trimming room where six people, most in their 20s, are sitting and snipping away. Out of concern that a stranger could steal his entire harvest, which is worth almost a quarter-million dollars, Blake only hires trimmers he knows. "You're sitting here all day long," said a trimmer named Bishma, a local who does catering work that mostly supports his wife and two kids. But during the fall harvest, he lives on the farm full time. "Some people think I sit eight hours at a job," said Bishma, "[but] it's like we're sitting here 14 hours. And it's the same repetitive motion over and over and over again, so people just go to town and just, like, listen to every kind of music they can." Music is a big part of trimming, and the faster the music, the faster the trimmers snip. I watch as their scissors sync with the beat. Lots of locals depend on marijuana for part of their livelihood. For young people who manage to get into the trimmigrant workforce, it's a job so lucrative that some can make all of their money for the year during the three-month harvest. But as laws around the country change — making marijuana legal — analysts say the pay scale is bound to go down, making trimming more like any other low-paid farmwork. And, like farmwork across the country, marijuana production is already becoming mechanized — gradually making trimmigrants a thing of the past.